Taken in the morning in late October 2010, at NGR SN7850153296. 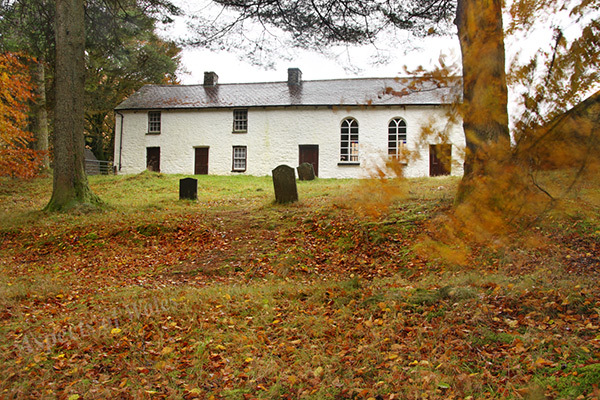 Soar-y-Mynydd is a Calvanist Methodist Chapel built in the 1820s on the bank of the Afon Camddwr upstream of Llyn Brianne Reservoir. Canon EOS 40D, Canon EF-S 17-85mm lens at 24mm, Manfrotto tripod. Exposure F11 at 1/4, 1/2 and 1/8 secs combined. Original image in Raw format.